A considerable number of universities in the West focus on the acquisition of the values of benevolence and compassion as an essential skill or enlightening aide for educators, healthcare professionals, social workers and even public service employees. Rather than viewing these values as skills that are teachable, it is argued that these values reside deep within individuals. They are grounded in Confucian ideology, particularly Ren, which is characterized as realized full humanity or a moral self guided by compassion and rooted in relations. Cultivating Ren by embedding it in the curriculum in higher education is of crucial importance and offers hope given that students will be the future pillars of society and this value profoundly influences different professions. It is hoped that opportunities are provided for learners to unlock Ren in themselves. In this respect, pedagogical approaches that are integrated into the curriculum, focusing on reflective learning tasks, learning projects, service learning, peer mentoring and group sharing, can enable learners to reflect on themselves, examine their strengths and weaknesses, perform to the best of their ability, practise the values, and show concern and care for their peers and the community at large. This chapter aims at shedding light on the Confucian understanding of Ren, a highly complex but core traditional Chinese moral value, the instructional guidance it offers to educators and the possible pedagogical approaches to cultivating Ren in the higher education sector in Hong Kong. Chu, H. (2016). Confucianism. In J. M. MacKenzie, N. R. Daiziel, N. Doumanis, & M. W. Michael (Eds. ), The Encyclopaedia of Empire (pp. 614–620). Oxford: Wiley Blackwell. Retrieved from https://www.polyu.edu.hk/cc/images/Article/prof_chu_articles/91.pdf. Lane, S. (2008). Benefits of Service Learning. Reason and Respect, 3(2). Retrieved from http://docs.rwu.edu/rr/vol3/iss2/3. Levidow, L. (2002). 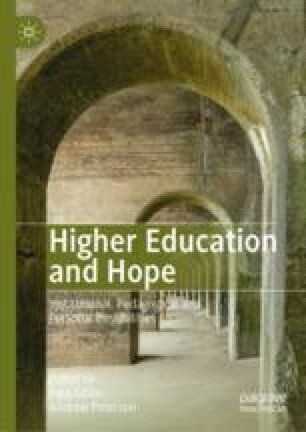 Marketising Higher Education: Neoliberal Strategies and Counter Strategies. The Commoner, 3. Retrieved from http://www.commoner.org.uk/03levidow.pdf. Sax, L. (1997). The Benefits of Service: Evidence from Undergraduates. Higher Education, 38. Retrieved from http://digitalcommons.unomaha.edu/slcehighered/38. University of South Australia. (2003). Mentoring Resource Kit. Retrieved from http://www.unisa.edu.au/hrm/courses/mentoring_resource_kit_dec2003.doc. Yeung, S. Y. S. (2015). Conception of Teaching Higher Order Thinking: Perspectives of Chinese Teachers in Hong Kong. The Curriculum Journal, 26(4), 553–578. Retrieved from http://dx.doi.org/10.1080/09585176.2015.1053818.